Braskem, the largest petrochemical company in Latin America, has recently entered into an agreement with Siemens to modernise a cogeneration power and steam plant at its petrochemical complex in Sao Paulo, Brazil. Completion of the project is expected in early 2021. "This energy-as-a-service contract underscores the value our newly aligned Siemens Gas and Power Operating Company brings to customers, with synergies crossing the entire energy value chain," said Tim Holt, Chief Operating Officer of Siemens Gas and Power, effective 1 April 2019. Braskem's project involves the complete overhaul and technological update of the existing cogeneration plant, which provides steam and power to the petrochemical complex's cracking unit. The unit has an ethylene production capacity of 700 000 tpy and produces raw materials for the chemical and plastic sectors. The optimised design leads to an increased efficiency of the ethylene plant. Braskem estimates that the upgrade project will reduce the cracking unit's water consumption by 11.4% and CO2 emissions by 6.3%. "Siemens was uniquely capable of proposing this comprehensive engineering and service solution that will help Braskem meet its sustainability goals and maximise value over the life of the cogeneration plant," said Dan Simpson, Head of Global Solutions for Siemens Gas and Power, Oil & Gas. "The integrated and redundant design of the facility and use of Siemens equipment, coupled with the adoption of a build, own, and operate business model will result in 100% plant availability and reduced energy consumption, both of which are critical to Braskem's business." 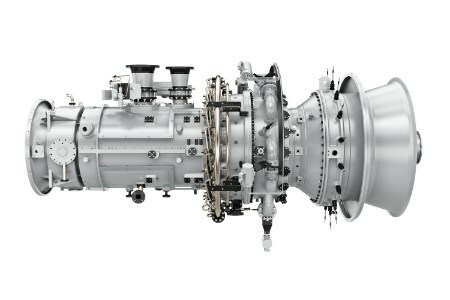 The power output of an SGT-600 turbine is 24 megawatts (MW). For this application, each turbine will provide 19 MW of power and 80 tph of steam. In addition, they will feature third-generation dry low emissions (DLE) technology and run on residue gas with high concentrations of hydrogen. The DLE technology will reduce CO2 emissions, and NOX levels from the turbines will be low at just 25 ppm. A load shedding system ensures safe operation of the plant by managing all loads depending on the available power supply. "The combined cogeneration of electricity and gas with this project exemplifies our efforts to achieve greater operational excellence and reinforces our commitment to sustainable development," said Braskem Chemicals southeast region chief industrial officer, Luís Pazin. "The modernisation will help us meet our sustainability goals by reducing the facility's overall energy consumption by an amount equivalent to that of a city with one million inhabitants."